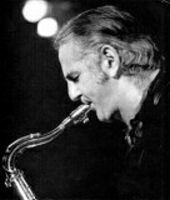 This website is devoted to the British modern jazz musicians who, from the late 1940s to the early 1960s pioneered the music in the UK. It is intended to be a source for anybody coming to the music for the first time and to indicate where the music can be heard, albeit only on CD or long deleted records. This website contains discographies for the major musicians and one of the main aims of this website is to indicate where the music of the period can be found now on CD. A number of companies have re-issued some of this classic jazz. Several smaller companies have issued a number of old Esquire recordings but a large chunk of Esquire's mid 1950s recordings have not been re-issued in CD format and maybe never will. Recording opportunities were few and far between for jazz musicians in the 1950s. Fans with money to buy jazz records chose American music. 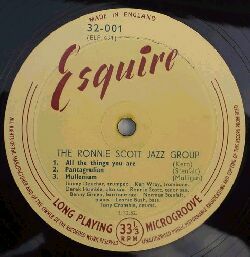 Only small independent labels such as Esquire, in the late 1940s and early 1950s, and Tempo in the mid and later 1950s were issuing records of the British jazz. By the mid 1950s only Tempo were recording significantly and they went out of business in 1960. The website was created in 2005 and is updated and expanded regularly. I regard the website as a tribute to the music and musicians of a somewhat forgotten period of British jazz. With the exception of Tubby Hayes and Ronnie Scott the musicians have faded from the memory of many who enjoyed the music live. If you can add information or photographs or correct anything on the website please contact me (David Taylor). Very few of Britain's 'bebop inspired' bands of the late 1940s and early 1950s were recorded and we are only aware of their existence through the pages of Melody Maker and the recollections of the musicians themselves plus a number of poor quality photos.